We were able to getaway in town this weekend, leaving Jackie to take care of animals at home. Cyndie and I went off to spend a couple of nights at her parents’ house in Edina. Fred and Marie were headed for a cruise in Germany with friends of theirs, and we provided transportation to the airport yesterday. Before that, we snuck out for a convertible cruise through our old Eden Prairie stomping grounds. The fabulous September sunshine provided ideal conditions. 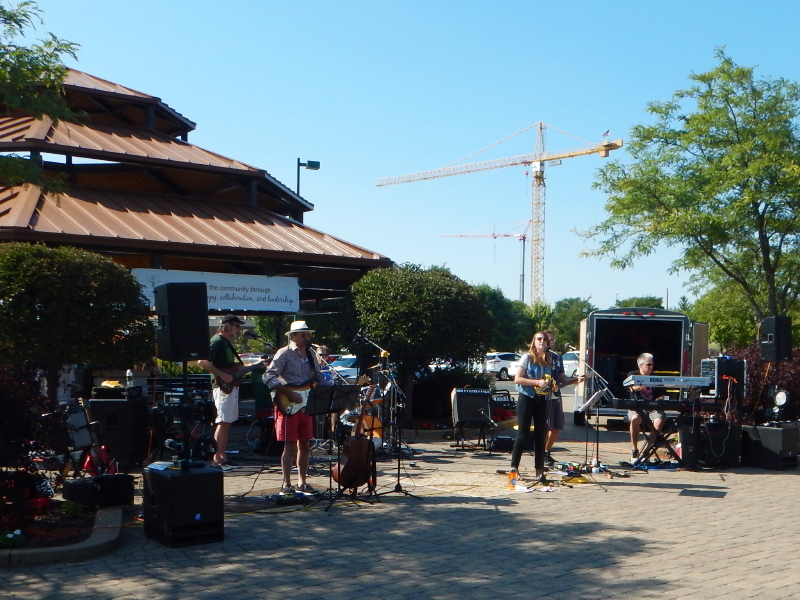 We stopped by a park to visit folks gathered for an EP fundraising event and enjoyed live music performed by Wondercure, some life-long friends. After leaving the airport, we headed past an even older neighborhood of ours in south Minneapolis to hook up with more EP friends. We strolled with Paul and Beth along the Linden Hills streets for dinner near Lake Harriet. 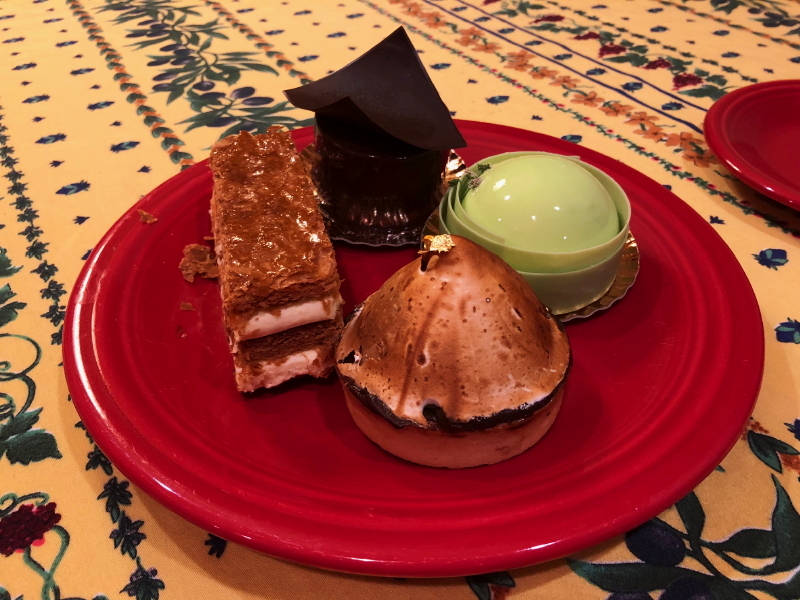 Back at their house, we were treated with other-worldly dessert creations from a nearby bakery. It all feels so cosmopolitan! How did we come to deserve such richness of life, friends, and food. It is not lost on me how much the remarkable warm September sunshine and blue skies contribute to making a day seem so positively regal. Our experiences would have been much different had it been cool, gray, and wet.